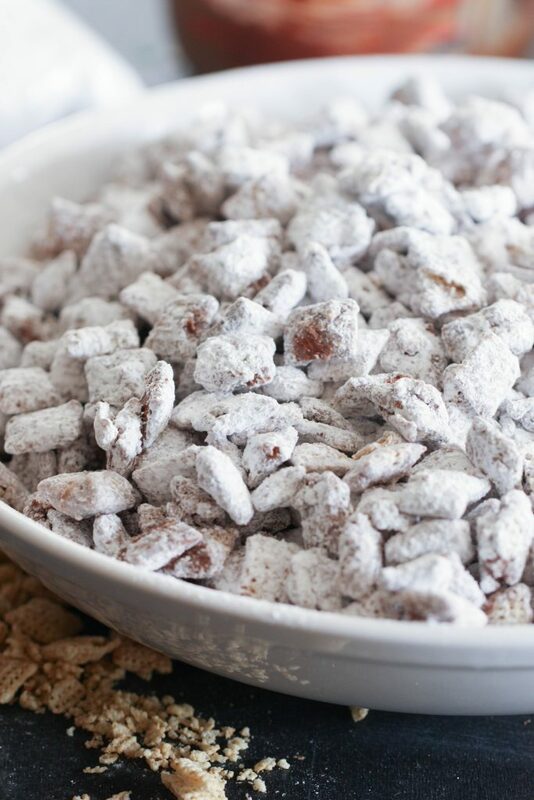 Muddy Buddies are the ultimate snack food. I don't think I have ever met a person that doesn't like them. 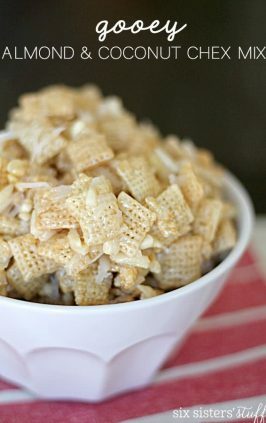 They feed a crowd, have the perfect amount of crunch and sweetness, and are so easy to make. If you like peanut butter and chocolate, you are going to go crazy for this snack. It is the ultimate snack food, of all snack foods. It is so easy to make, and is a crowd and family favorite. It is boating season here in our house, which means I spend Friday’s gathering snacks to take out the next day. 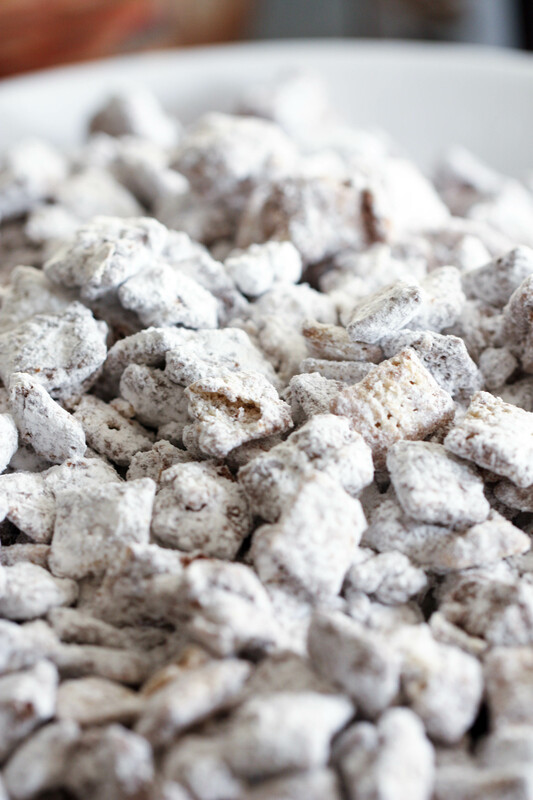 Our favorite happens to be Muddy Buddies. We eat these babies by the handful. They are so easy and everybody loves them. They also make quite a bit, so if you have to serve a crowd, then this is your recipe. Step 1: Pour cereal into large bowl; set aside. 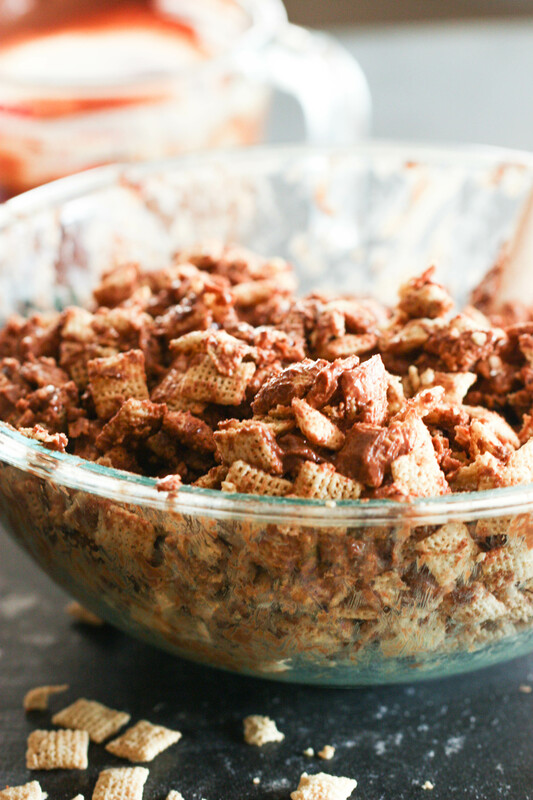 We use Chex Mix Cereal for our Muddy Buddies. We haven’t tried it with any other cereal. The reason we use Chex Mix is because they have little holes in them, and it allows all the goodness to seep in, and it tastes amazing. Each bite is full of peanut buttery chocolate goodness, and you won’t be sorry you tried them. If you use a different cereal, let us know how you like it, and what cereal you used, in the comment section below. Step 2: In 1-quart, microwave-safe bowl combine chocolate chips, peanut butter and margarine. I used milk chocolate chips, but you could also use dark, semi-sweet, and I have even tried white chocolate and that was delicious as well. The original Muddy Buddy recipe calls for semi sweet chocolate, and today I am using milk. Step 3: Microwave for 1 to 1 1/2 minutes or until smooth, stirring after every 30 seconds. This may sound repetitive, but stirring allows the chocolate to spread evenly, so it is all melted evenly. Step 4: Stir in vanilla, to the melted chocolate mixture. Pour chocolate sauce slowly over cereal, stirring to coat evenly. Step 5: Pour cereal into large plastic bag. You could also stir the two mixtures in a bowl, however, your spoon may break the cereal pieces, and they taste best when they are whole. They are also easier to eat. I use a gallon storage bag to do this step, but you could try a bowl. 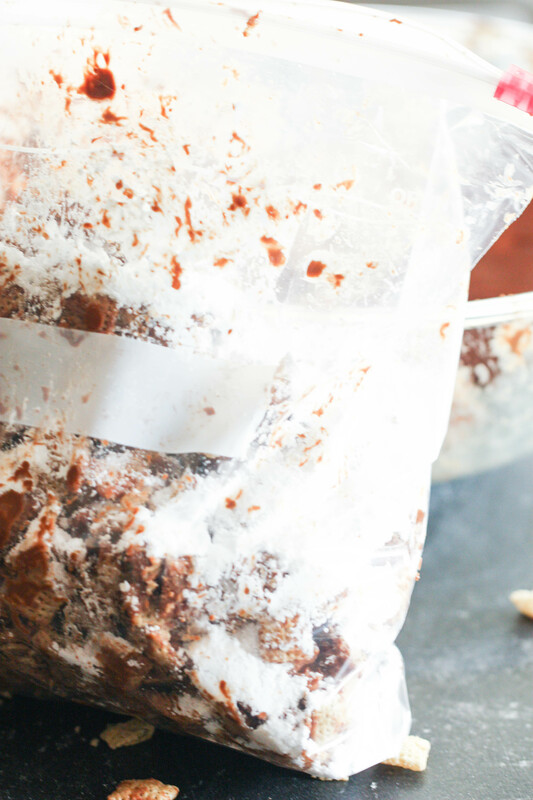 I also like using a plastic gallon freezer bag because the powdered sugar doesn’t get everywhere when you shake it. Step 6: Add powdered sugar and secure; shake to coat well. Make sure that bag is zipped tight. You don’t want powdered sugar flying everywhere. I know this first hand, it is not fun to clean up. Step 7: Spread on waxed paper to cool. I don’t always do this step. Sometimes, like if we go boating, I try to keep the mess at a minimum by keeping it all in the ziplock bag, that I shook it in. You could also transfer it straight into a bowl for serving, if you don’t want to spread it out on wax paper to cool. Did you know muddy buddies can be gluten free? 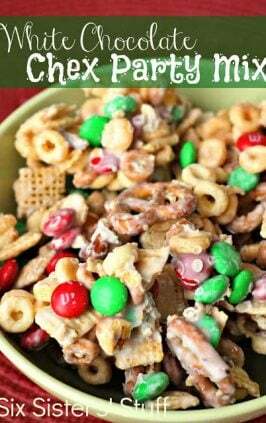 You can use gluten free chex mix to make this recipe. You could also use butterscotch chips, or dairy free chips if you are allergic to dairy. This really is the perfect snack for everyone. This snack food has been around for a while. 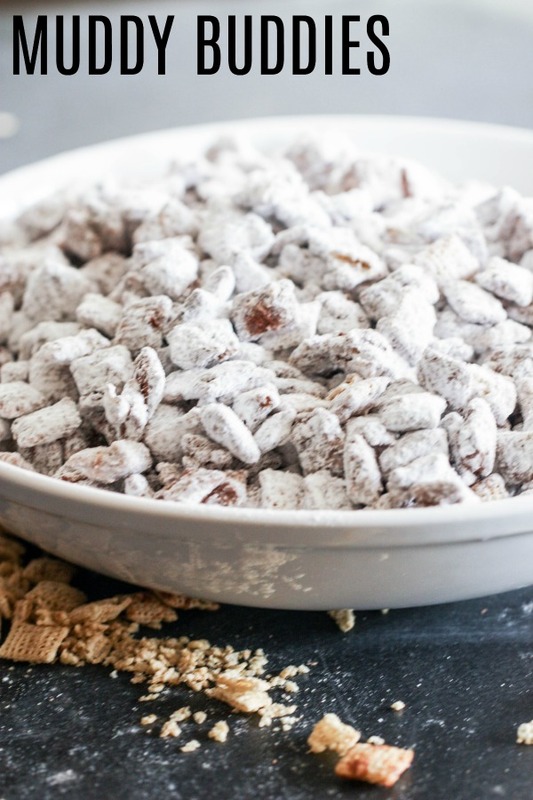 Everyone loves it, but it’s not always referred to as, Muddy Buddies. 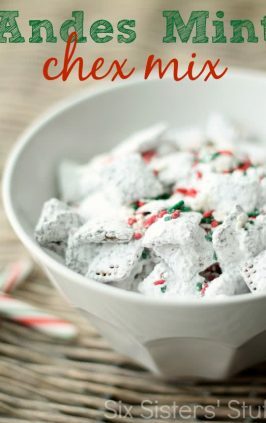 I have heard it been referred to as snowman poop, trash, muddy munch, monkey chow, reindeer chow, puppy chow, etc. Whatever you call it, I think we can all agree that this is the BEST snack and dessert food around. 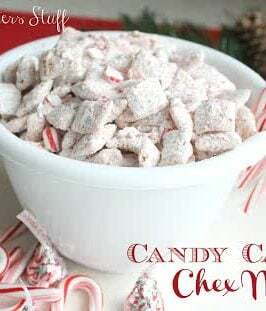 looking for more muddy buddy recipes? Pour cereal into large bowl; set aside. 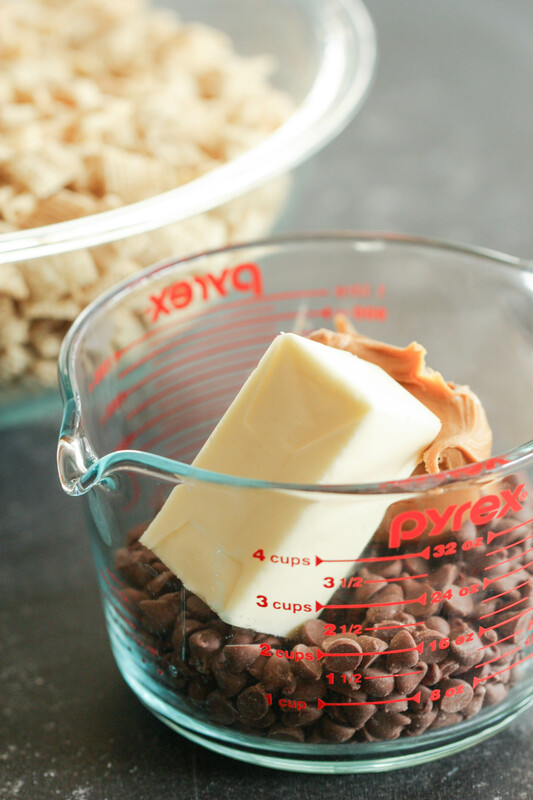 In 1-quart, microwave-safe bowl combine chocolate chips, peanut butter and margarine. Microwave for 1 to 1 1/2 minutes or until smooth, stirring after 1 minute. Stir in vanilla. Pour chocolate sauce slowly over cereal, stirring to coat evenly. Pour cereal into large plastic bag. I have a son that is allergic to peanuts. We use butterscotch chips in place of the peanut butter and this still tastes great! We use gluten free Chex, dairy free chocolate chips and butter and it's still delish! I have 4 kiddos that are allergic to dairy and gluten. we call it Trash in Virginia but it is oh so good! We call it reindeer poop around the holidays. Haha. I love all the names for it! Has anyone every tried freezing these? If so, how did it turn out? Any tips? Thanks so much for the recipe! Nicole ..they don't actually freeze but taste awesome and keeps awesome when put in freezer...i eat it straight from freezer and love it!!!! !